Firstly I would like to thank iFi Audio for lending me this sample to review, I try to write honest reviews. This unit has had over 50hrs of burn-in, no differences were noted. < 5W idle, 12W max. The packaging is the same as the rest of the iFi Micro line up, a slim white box which is a little Apple esque. The outer sleeve has all the info you need on the product, slide this off and you have a 2 part box. Once you slide the top off the box you are greeted by the iCan itself, which has the same form factor as all the Micro range. Underneath the intray you will find the accessories. I really like the sleek packaging, which serves its purpose to protect and house the product, whilst being one of the more attractive designs out there. Build quality is on par with the other products in the range, a very nice aluminium case, super smooth volume pot, high quality inputs/outputs and also tough looking switches. 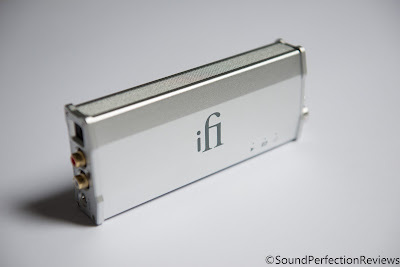 iFi Audio do know how to build a sleek, yet very well built product. There is nothing on the design that feels cheap, and nothing that feels like it will wear out quickly. Accessories are good, you get a small RCA-RCA interconnect, a power supply (which is the ultra low noise and ripple iPower 15v PSU), a 3.5mm-3.5mm aux cable and a small screwdriver which is needed to change the gain. Overall a good package of included accessories, and everything you need. 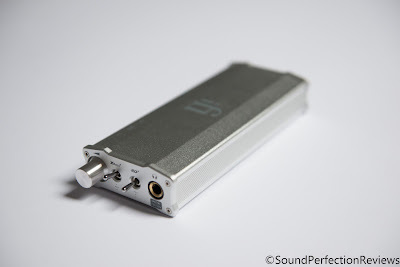 The iCan has always been a great headphone amp not just for its sound quality but also for its features, it comes with a 3.5mm and RCA inputs, 1 single 6.3mm headphone output but also has different gain settings. 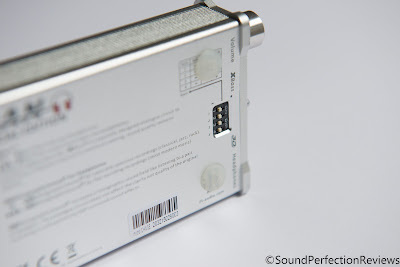 This new version of the iCan is similar to the original where it has the xBass switch and also a 3D HoloGraphic sound switch, more on these later. 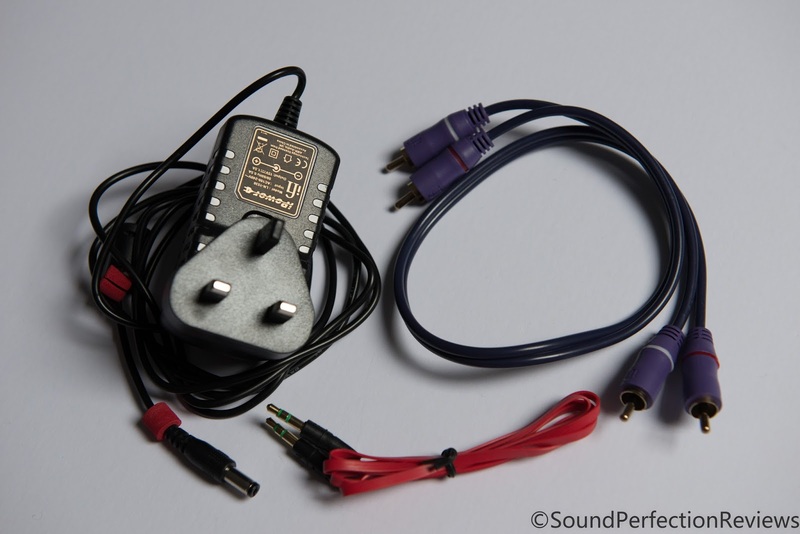 This does make the iCan SE a very versatile device, powering the most sensitive IEM’s to power hungry electrostats with no problems. I will write about this amp as a whole, not split into categories. The fantastic thing about the iCan is that it doesn’t really have a sound signature as such, it lets the source material pass through without adding much flavour. And I for one appreciate it’s honest sound, but unlike some other amps, it has some interesting features. First off the sound is very neutral, with maybe a hint of smoothness which to me makes it a lot more enjoyable, I found the same to be true about the JDS Labs Element, neither of these amps are as unforgiving as the Objective2 amp, but I prefer both due to that tiny bit of smoothness. From lows to highs this amp excels, it has the power and authority to drive almost any headphone on the market, lows are tight yet have the right amount of body and decay, mids are detailed and highs shimmer as they should, very natural and neutral with nothing out of place. Now when you turn the xBass on things start to get fun, the iCan has a very well implemented bass boost, it adds punch and extension without bloat. I don’t usually like bass boost, but the lowest level with my German Maestro GMP 400’s make them a lot more enjoyable to listen to. This feature is great for when you want to listen to some EDM with your usual headphones and crave that extra bit of punch. The 3D HoloGraphic switch is a very different beast. It is interesting and also very track dependent, it is quite a subtle change, but can make some tracks sound more coherent rather than the hard panned L/R that headphones tend to portray. My headphones already have great soundstage, but this add a little width and vocals are not as hard centre, it can make for a more stereo/hifi setup sound and when used right can add to listening enjoyment. 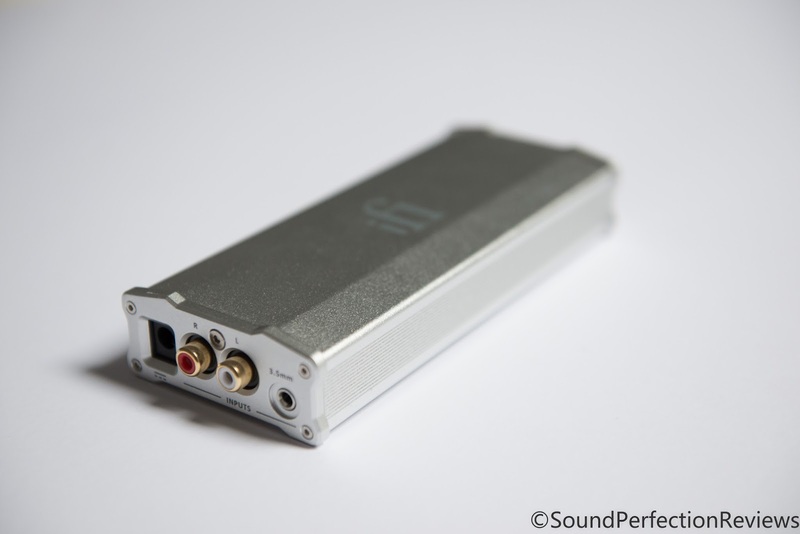 Conclusion, just like the original iCan, the iCan SE is a great headphone amp, it now comes with more power under the hood, but with the same functionality and great sound the original was known for. 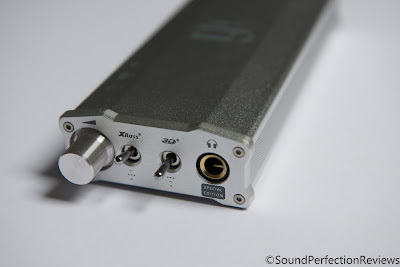 All in a very sleek package, I didn’t need to change to high gain, I was using it at around 1 to 2 o’clock on the volume knob and it powered to relatively hard to drive TH-500rp and GMP 400’s with ease. I really like the bass boost, it adds body where it is needed without muddying the rest of the sound, and the 3D HoloGraphic switch can make some tracks a whole lot more enjoyable. I cannot fault this little device, especially for the price.